Advanced practice registered nurses perform many of the same tasks as registered nurses (RNs). APRNs conduct physical examinations, administer medications, perform diagnostic tests, record medical symptoms, establish care plans, operate medical equipment, and provide counseling. They may also instruct patients on preventative health care, refer patients to specialists, conduct research, and teach staff about new policies and procedures. 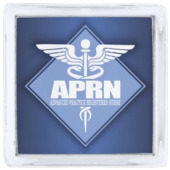 Each of the four APRN specialties then carries its own unique responsibilities. (1) Nurse practitioners conduct advanced nursing activities like prescribing medications, ordering laboratory tests, and developing treatment plans. NPs may choose a specialty area like pediatric, geriatric, or psychiatric-mental health, which carries additional role-specific responsibilities. (2) Nurse anesthetists provide anesthesia for diagnostic, therapeutic, obstetrical, and surgical procedures. They monitor patients throughout the procedure and adjust anesthesia as needed. Nurse anesthetists can also provide emergency services and pain management. (3) Nurse midwives care for women during labor and delivery, and they provide gynecological exams, prenatal care, and family planning services. Midwives may also offer wellness care, primary care for mothers and newborns, and assistance with sexual or reproductive health issues. (4) Clinical nurse specialists integrate care across the continuum and through three spheres of influence: patient, nurse, and system. They are clinical experts in cross-functional nursing practice and the delivery of evidence-based nursing interventions. All APRNs must earn at least a master of science in nursing (MSN) from an accredited program. Many APRNs choose to earn a doctor of nursing practice (DNP) as well. The vast majority of MSN and DNP programs require applicants to hold a valid RN license upon entry, although there are approximately 50 direct-entry MSN programs for non-nurses throughout the country. Graduates must also earn certification in their specialty area. For example, certified registered nurse anesthetists (CRNAs) must pass an exam by the National Board of Certification and Recertification for Nurse Anesthetists (NBCRNA). The American Midwifery Certification Board (AMCB) offers certified midwife (CM) and certified nurse-midwife (CNM) designations. NP certifications are numerous, varying by specialty area and population focus. They are available through professional organizations like the American Nurses Credentialing Center (ANCC) and the Pediatric Nursing Certification Board (PNCB). Becoming an APRN is a long and complex journey, but the hard work will pay off. APRNs are the highest-paid nurses in the healthcare industry. Nurse anesthetists lead the pack: they earn a median annual salary of $150,000, with top-quartile pay in excess of $180,000 per year. Nurse practitioners and nurse midwives both earn about $92,000 per year on average, with top performers grossing more than $110,000 annually. The employment outlook is extremely positive as well. APRN employment is expected to grow 31 percent over the coming decade, much faster than average. This will create nearly 50,000 new APRN jobs in the next ten years. A lucrative career as an advanced practice registered nurse requires a graduate degree from an accredited college or university. Browse our directory to find the best MSN programs in your local area.